I chanced upon this stall in a kopitiam in SS2 recently. 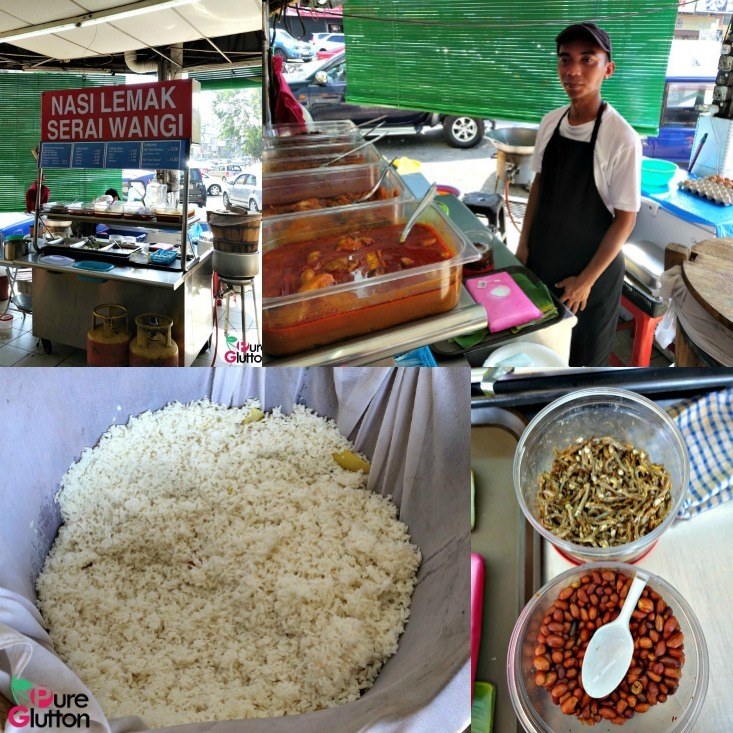 What caught my attention was the delicious aroma of the lemongrass-scented rice when I passed by the stall. At that point, one of the guys was scooping up the rice for an order. 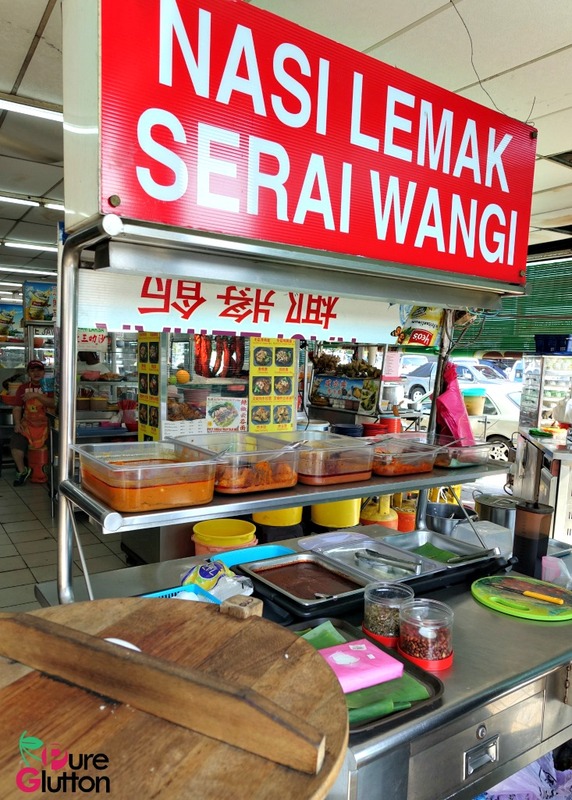 I stopped and checked out the stall and was delighted to see they had sambal kerang (cockles sambal) and I wasted no time in ordering a plate of their nasi lemak with that and beef rendang as well. 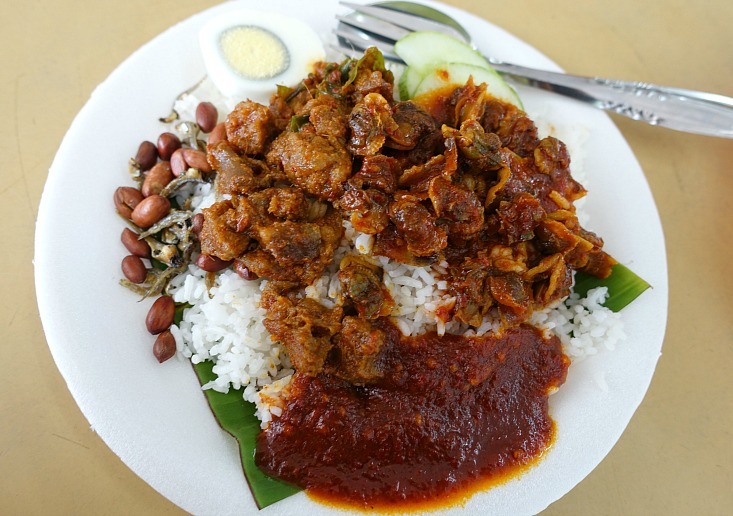 Service was pretty fast and before long, a plate of nasi lemak serai wangi topped with bright red sambal, beef rendang and my favourite sambal kerang was placed on my table. 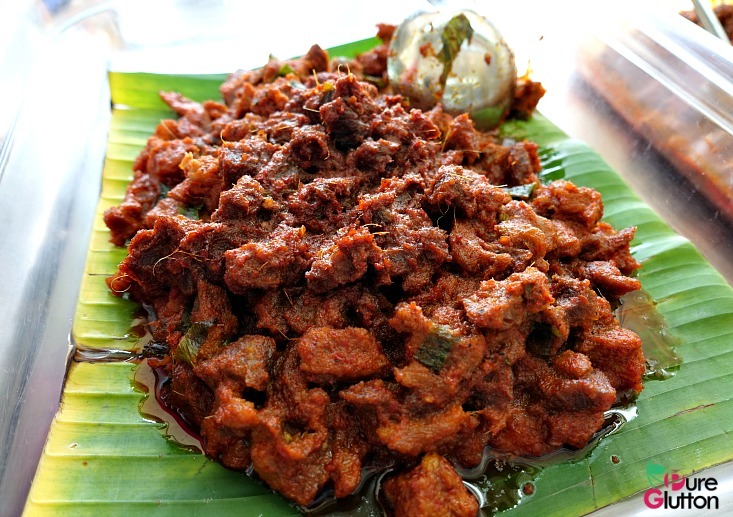 The cubes of beef rendang were tender with a sublime spice mix and the unmistakable aroma of kerisik and turmeric leaves (daun kunyit). 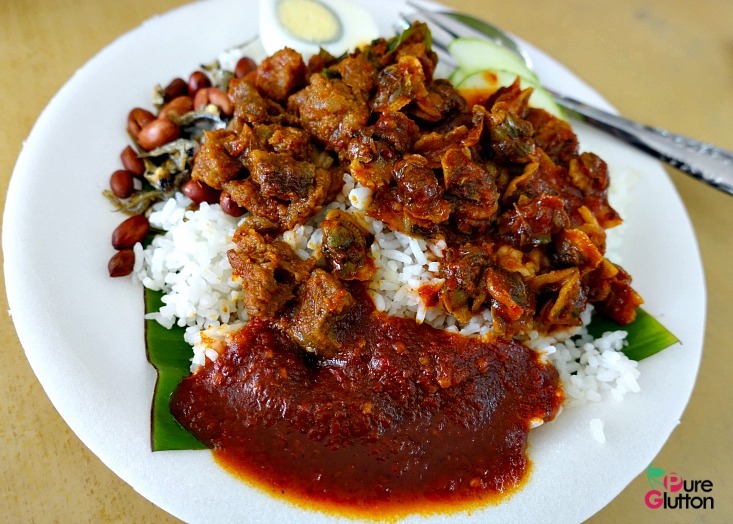 The sambal kerang tasted just as good as it looked with a spunky sambal. The fried ikan bilis and peanuts were fresh and crunchy, too and that added up the points for me. 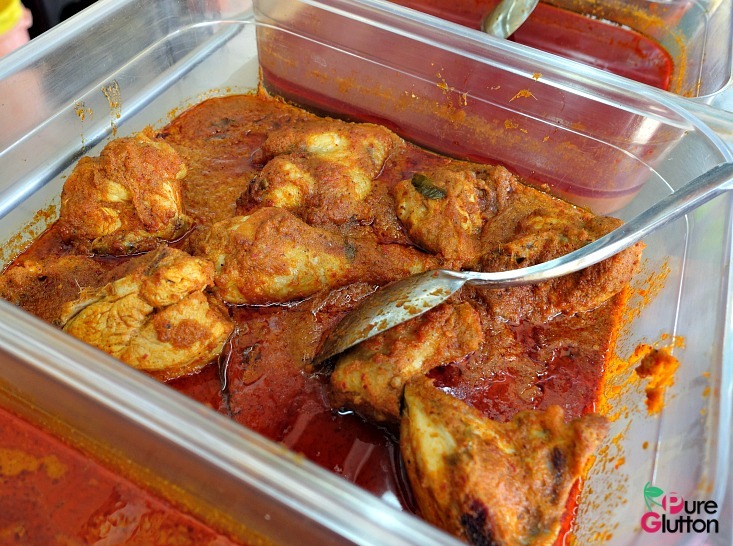 There are a few other dishes like chicken rendang and sambal sotong. I believe they fry chicken on the spot too as I spotted a stove and wok by the side – I’ll have to go back again to check that out. 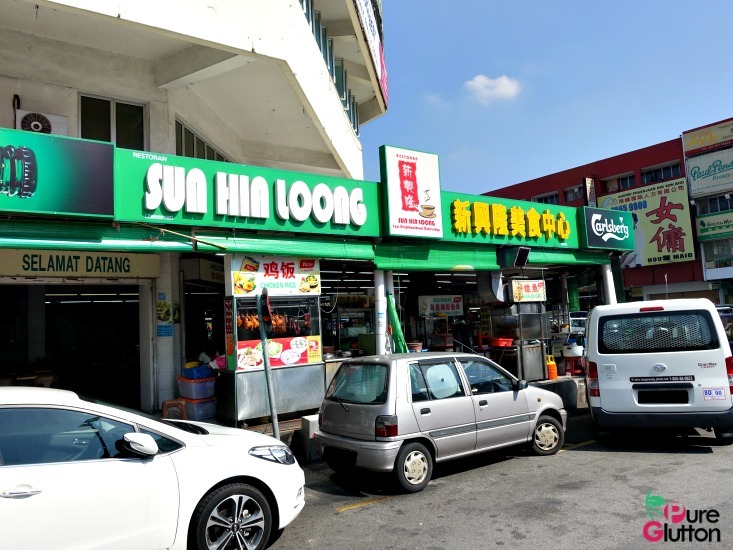 wah sun hin loong now got new banner!